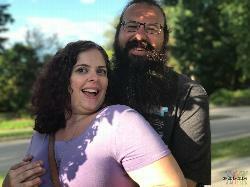 We're a fun bisexual couple in Jersey City into cuckolding! Our woman is really into well hung darker gents (and so is our guy ??). We're open to getting to know other couples, single girls and single guys, and hope to find those with some similar interests for lasting friendships in this lifestyle.